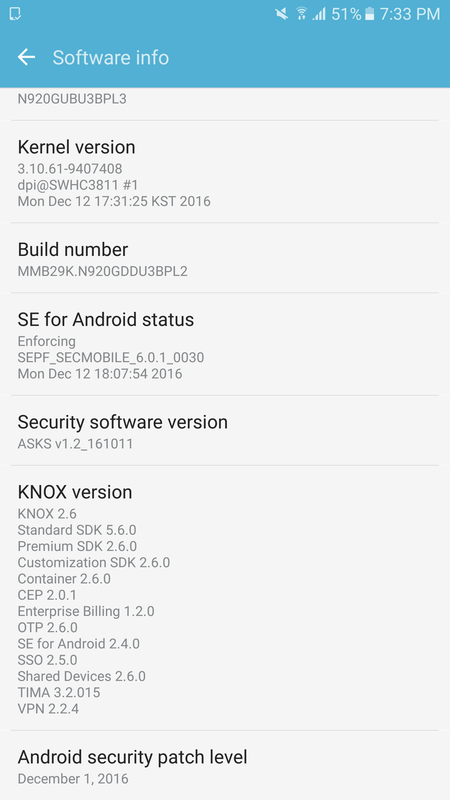 The Galaxy Note 5 is now getting a minor firmware update in India. As for the onboard features, the changelog doesn’t seem to show much, so it should be a general performance patch. We expect the update to carry a handful of bug fixes as well. The device was previously running the Android security patch from October, which has now been updated to December 1. This is not the latest version by any means, but will still get the job done. Going by the recent update patterns, it seems like Samsung is following a quarterly update cycle for the Galaxy Note 5. The update is only 295MB in size, but it would probably be safer to download it over a WiFi connection to avoid carrier overages. The update should reach your device automatically, but if it doesn’t, make sure you head over to Settings » About Device to download it manually. Really?? WoW…you are so quick on reporting that…the update was released last month on 20th Dec. in India. Verizon Note 4 received this on the 1st. I was pleasantly surprised! The fastest ever, but the December 5th date would have been better. If they keep this up my only concern for the Note 8 would be how easy it is to change the battery! whats diffrent between this roms: n920cxxs and n920cxxu?? whats means U and S . and what is best??? intresting: Both are installed and no problem. pls help pls…..
Meanwhile…. Galaxy S6 is still stuck on October security patch.